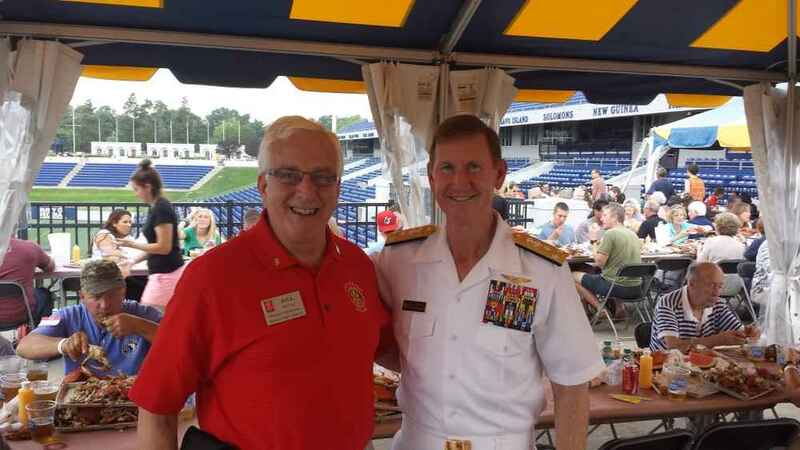 The Rotary Club of Annapolis 69th annual Crab Feast held on Friday, August 1, 2014, from 5 to 8 p.m. at the Navy-Marine Corps Memorial Stadium in Annapolis. This special event is not only the world’s largest crab feast but also a major fund-raiser which benefits local community and cultural organizations. 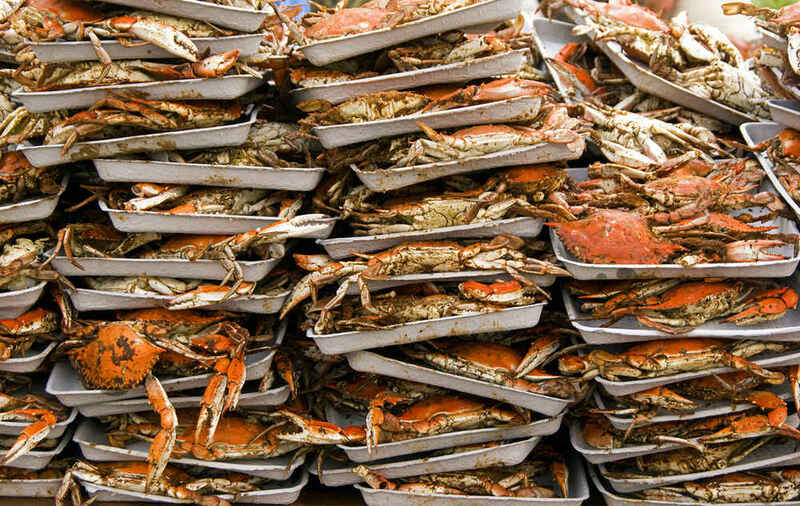 The feast is all-you-can-eat and drink, including large and #1 male crabs (the big ones) plus Maryland vegetable crab soup, sweet Maryland corn on the cob, beef barbeque sandwiches, all-American hot dogs, draft beer, and assorted sodas and water. A bake sale and cake raffle can finish your feast with sweetness. Also for sale will be Crab Feast T-shirts and other memorabilia. An excellent way to entertain special clients and guests or to recognize the hard work of loyal employees is the Preferred Dining area. Participants can use a private entrance, and enjoy guaranteed seating in one of the Preferred Dining tents and a wait staff that will bring the crabs to their table. Tables of 10 or 12 are available, as well as individual seating. Contact Pam Urnowey at 850-619-1645 or pamela.urnowey@homeinstead.com for information about Preferred Dining. Corporate and other sponsors are being solicited by sponsorship co-chairmen Steve Kelly and John Bloom. For information, contact John Bloom at bloom.john@gmail.com or call him at 704-449-4487. 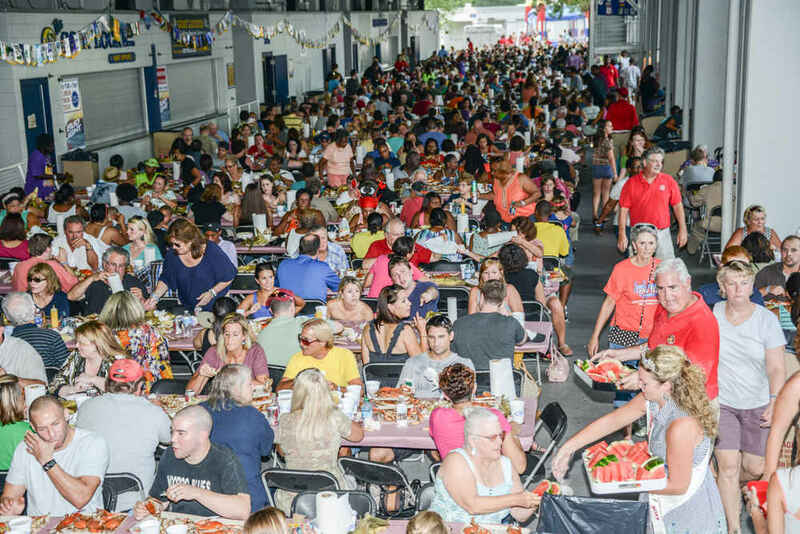 Nearly 2,500 people are expected to attend and finish off 350 bushels of crabs, 3,400 ears of corn, 100 gallons of crab soup, 1,800 hot dogs, 150 pounds of beef barbeque, and hundreds of gallons of soft drinks and beer. The event will be held rain or shine, as most of the tables are protected from the weather. While it is an all-you-can-eat affair, and you can take all you want, please eat all you take. If you have more crabs than you need, please share with a neighbor. Once again we have partnered with Annapolis Green and will be recycling everything we possibly can, said Crab Feast chairman David Lillefloren. Annapolis Rotary members pay all their own administrative costs for the operations of the club, so all funds raised are donated to local charities. Last year’s crab feast is contributing more than $70,000 directly to local charities and non-profit groups. 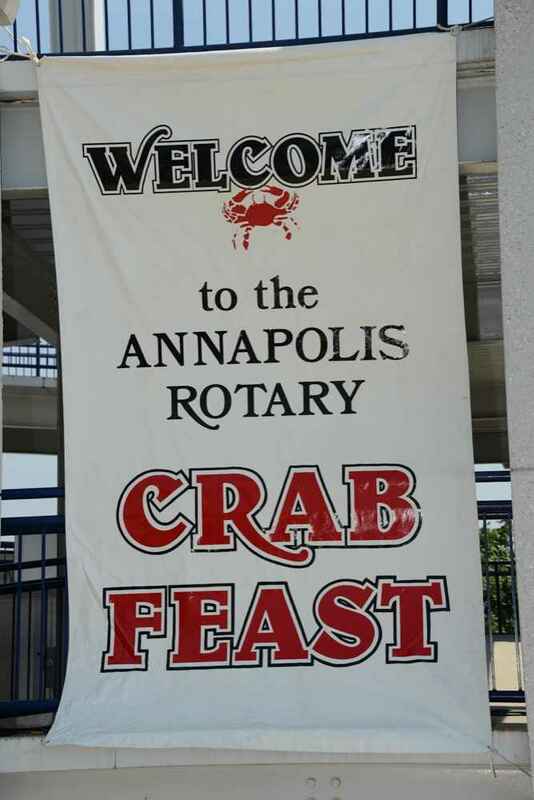 More than $1 million has been awarded since the first Annapolis Rotary Crab Feast in 1946. $3,500 (2) – Rebuilding Together and Meals on Wheels. $3,000 (7) – Hospice of the Chesapeake Life Center, Food Link Inc., Annapolis Maritime Museum, Cystic Fibrosis, Heart Smart, Pregnancy Clinic, and Birthright of Annapolis. $2,500 (6) – Greater Annapolis Family Center Y, Anne Arundel County CASA Inc., Creating Communities, YMCA, Anne Arundel Conflict Resolution Center, and Arundel Lodge Inc.
$2,000 (3) – Boys and Girls Clubs of Annapolis and Anne Arundel County, Wellness House of Annapolis, and Backpack Buddies. $1,500 (4) – Leadership Anne Arundel, Maryland Therapeutic Riding, National Alliance on Mental Illness of Anne Arundel County, and Dare to C.A.R.E. $1,000 (7) – Students Taking Academic Responsibility (STAIR), Annapolis Green, Anne Arundel Food Bank, Bay Community Support Services, Annapolis and Anne Arundel County Scholarship Trust, West/Rhode Riverkeeper, and Maryland Hall for the Creative Arts. 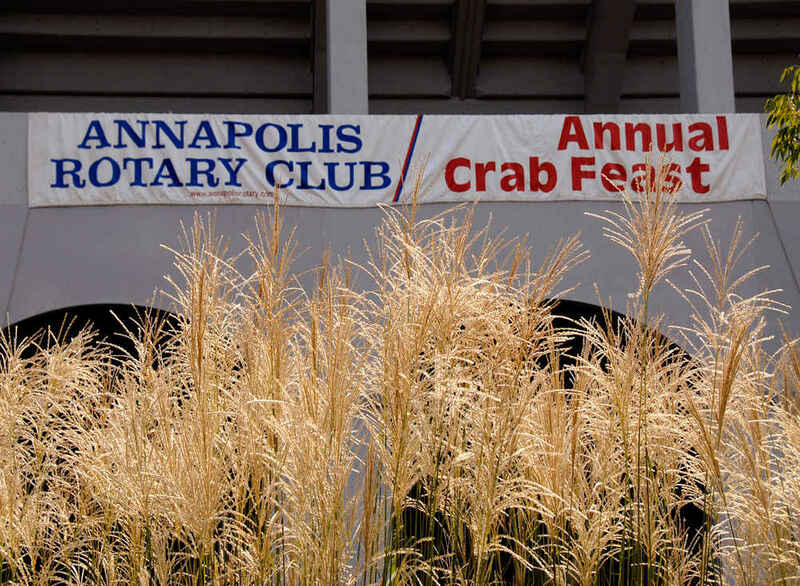 Now more than 90 years old, The Rotary Club of Annapolis sponsors the World’s Largest Crab Feast each year to raise funds to distribute to local organizations to improve the quality of life in the community. $3,000 – Anne Arundel County CASA Inc.
$2,500 – St. Anne’s-Stanton Center Teen Camp, Food Link, and Arundel House of Hope. $2,000 – Happy Helpers for the Homeless – Annapolis Chapter and Partners in Care. $1,500 – Anne Arundel County Bar/State’s Attorney’s Victim Witness Fund, Leadership Anne Arundel, Eastport Volunteer Fire Co., Friends of Arundel Seniors Inc., and The ARC of the Central Chesapeake Region. $1,250 – Chesapeake Bay Foundation. $1,000 – Wellness House, Chesapeake Region Accessible Boating, Maryland Hall for the Creative Arts, Anne Arundel County Public Library Foundation, Cape St. Claire Volunteer Fire Co., Annapolis Recreation and Parks, Volunteer Center for Anne Arundel County, Box of Rain Foundation, Isabel’s Gift, First Presbyterian Church of Annapolis STAIR Program, Anne Arundel County Crisis Response Center, Make-A-Wish Foundation of the Mid-Atlantic, YWCA of Annapolis and Anne Arundel County, Faces of Valor USA, Serving People Across Neighborhoods (SPAN), and Sarah’s House. $750 – Eastport Girls Club and Annapolis the Beautiful Inc. d/b/a/ArtWalk. $700 – Kids and Cops. $500 – Annapolis Maritime Museum, Kunta Kinte-Alex Haley Foundation, Opportunities Industrialization Center of Anne Arundel County, Arts Council of Anne Arundel County, West River Center Camp Hope, Canine Companions for Independence, the SPCA of Anne Arundel County, and Girls on the Run of the Greater Chesapeake. $300 – Boy Scout Troop 855. $250 – Annapolis Veterans Acupuncture Clinic.